At the Vancouver defense law firm of Wheeler, Montgomery and Boyd, our attorneys pride themselves on providing zealous legal representation with a personal touch. 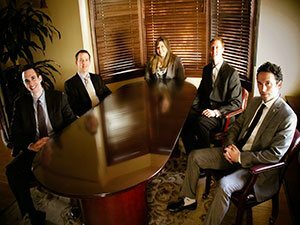 Our defense attorneys assist in cases in Vancouver and Clark County. Our lawyers are experienced in defending all manner of criminal charges, driving infractions, and felonies. If you have been charged in Clark County with any type of crime, misdemeanor or felony, Consult with an experienced defense firm today. Your initial consultation is free, and we pride ourselves on providing prompt and professional service no matter what you are charged with. Call today to schedule a meeting to discuss your case with a lawyer today. Copyright © 2010-2019 Vancouver Defense Law.